Yesterday Google officially presented their Chrome OS to the world. Well, sort of. They’re still an year ago from release. But we got the heads up on what it’s all about. It will be online based and with rapid boot times and it will be optimized for specific hardware rather than run on all walks of rigs. What hardware-optimized means is that Google Chrome OS will be tailr-made for specific hardware configurations and you won’t be able to just download and install it on any computer. Only that way Chrome OS will be able to offer the promised unmatched boot times as it skips any hardware checks other OSes do at boot. The netbooks and similar kind of internet devices are the primary target of the new OS as it’s heavily online-based. 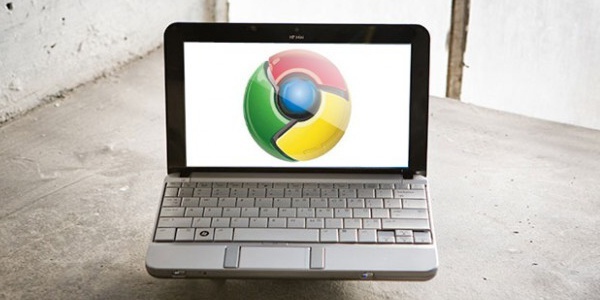 Chrome OS won’t work with any native apps, instead it will operate with web apps. Got you interested, read on for more. The core of Chrome OS is a web browser. In fact the entire OS will be this web browser. There will be no additional services and support for native applications. This will cut the whole booting process and now the Google Chrome needs only 7 seconds to power up. And it’s just the beginning of its development. As I mentioned before – there will be no apps – the guys in Google think most of the today people use only internet-based stuff – email, chats, blogs, online games, videos and music, etc. And they target exactly this kind of users. This way there are no updates to the OS to download and no anti-virus programs to run. With Chrome OS the computer turns into a web console with all your files constantly stored in the Google web cloud instead locally on your hard drive. This will help unifying the logging process on any Google Chrome running netbook. When you log on with your Google account your settings will be automatically retrieved (even your Wi-Fi ones) and you will feel at home on every Chrome-enabled netbook – even if you borrow one from your friend. Of course when the right time comes and its market grows, Google Chrome OS will be able to take full advantage of more powerful computers with multi-core CPUs and modern GPUs – that means desktop computers and laptops. Right now Google Chrome OS is far away from its release – so it’s too early to pass any judgments. But it’s a novel concpect, we’re only not really sure about its practicality. It’s like turning your computer into a smartphone – it will be easier to use, but it won’t have the full features of a desktop OS. Ad we’re not really sure if we’d like to dumb down our netbooks. If you are enthusiastic to try the new OS, even its in very early stage, you may try through a compiled VMware image. Since the Google released the current code onlince for free use, the user Mark Renouf succeeded to make an image file from it. You may download it from The Pirate Bay.